Rebecca Phillips was born in 1792 in the West Indies, possibly on board her father’s cargo ship en route to St. Eustatius. For five generations, Rebecca’s forebears had lived or sojourned in New York, Newport, Curaçao, London, Martinique, and Jamaica. Her great-grandfather, Abraham Isaacks, was an early parnas of Shearith Israel in New York. Her grandfather was a founding member of the famous Touro Synagogue in Newport, and her grandmother, Hannah Mears Isaacks, a cousin of Judah Touro’s mother. Rebecca’s parents moved to a plantation in the South Carolina upcountry, near the vast tract belonging to the Salvador family known as the “Jew’s Land.” Like Francis Salvador, her father Jacob Phillips served in the militia during the Revolutionary War. Rebecca, the Phillipses’ fourth child, was six years old in 1798 when her mother died in Martinique. 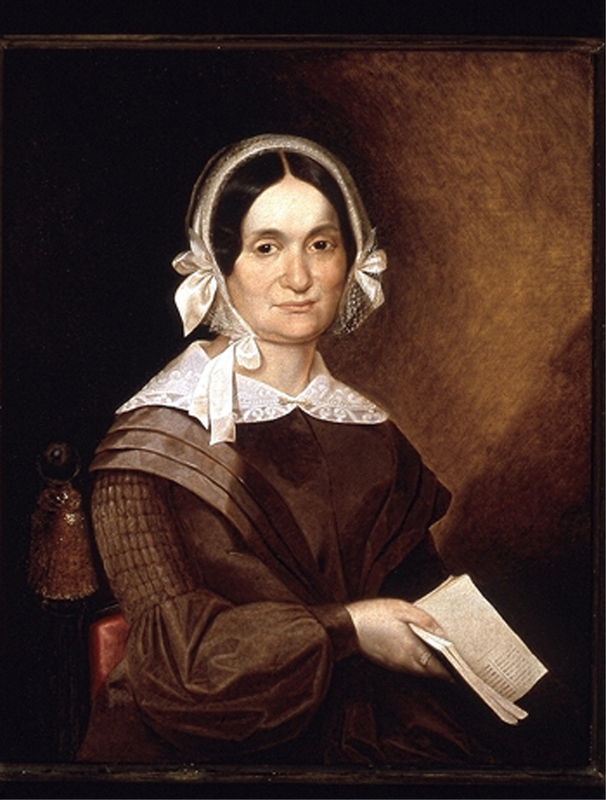 After her early marriage, Rebecca lived with Isaiah in Charleston where he had a store on King Street. The first three of their 12 children were born in Columbia, South Carolina, where Rebecca may have gone to be with family; the rest were born in Charleston. 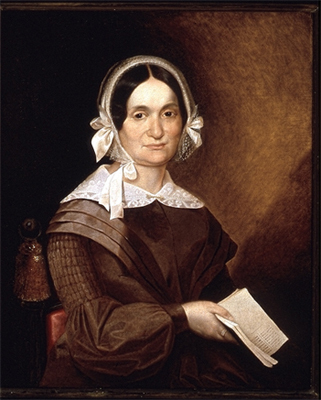 In this 1843 portrait, Rebecca Moses is modestly dressed, as befitting an observant Jewish woman. Though not of Portuguese descent, she wears her hair in the Sephardic tradition, covered with a lace cap. The book she holds in her right hand appears to be a prayer book.